This is my first post, so please be gentle and bear with me. I've been trying to get my gamecube (with datel's sd media launcher) to boot iso's stored on my computer. I've tried a great many methods without success. The closest I got was with GCOS 1.5 and GCDiscServer.exe - It seemed like it was almost working. I launched the iso in GCDiscServer on my PC, and GCOS (which I launched from media launcher) scrolled some text including "dolup_accept: Out of memory" but didn't boot the game. Even if it doesn't work great, I want to get this working to preserve my drive laser. I already did a small POT adjustment but it wasn't enough to read my DVD-Rs, I am planning on taking the cube apart to crank it up some more eventually, but for now I'm focusing on trying to get backups through the BBA working. Has anyone done this before, seen what I'm seeing, or has a better way? There's a lot of information about this stuff online and most people have moved on to Wii modding. 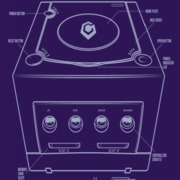 I haven't and also don't presently have the budget to buy any mod stuff, so any oldschool Gamecube tinkerers who want to help would be very welcome. Swiss supports booting backups from an SD card. There's also experimental BBA support though I don't know what shape it's in. IDE-EXE would be a better solution then using a computer but Swiss is the best and easiest to use. I really don't see the point of using the computer, it's really not benefiting anyting. Streetwalker: I could not get swiss SMB to work (maybe because I have windows 7?) have you had any success with that? I like Swiss' interface a lot. I don't know how Swiss's network loading works. I recommend SD gecko over anything else as it's known to work with no hassle.